Life Insurance Corporation of India (LIC of India), India’s largest life insurer, has announced its audited figures for six months ended September 2017. Total policy payouts amounted to Rs. 76,126 cr for the period ending 30.09.2017 as compared to Rs. 73,546 cr for the corresponding period last year, showing an increase of 3.51%. This includes a payout of Rs. 35482.07 cr for claims outgo covering 79,74,383 claimants for the half year ending 30.9.2017 as compared to Rs. 35,643.75 cr and 73,22,250 claimants in the corresponding period previous year. New Business performance by the Corporation for six months ending September 2017 has shown an impressive growth of 23.68 % in its first year premium by posting a figure of Rs. 68,224.29 cr. Commenting on the results, Mr. V.K Sharma, Chairman, LIC of India, stated “Our performance is in line with our expectation. The Corporation has recorded healthy results based on its strong fundamentals and core values. Trusted customers across the country have supported and enabled us to report a robust financial performance. 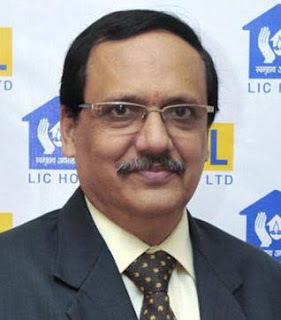 Headquartered in Mumbai, LIC has 8 Zonal offices, 113 divisional offices, 2048 branches, 1408 satellite offices and 1238 Mini Offices to serve the nation. LIC holds a stature of a strong financial organization with governance and transparency as its hallmarks. LIC continues to be the dominant life insurer even in the competitive scenario of Indian insurance with a market share of 74.75% in policies and 74.10 % in first year premium as at 30.09.2017 (As per Life Council Report). The Corporation which was started with an initial capital of Rs. 5 cr , subsequently raised to Rs. 100 cr has built a formidable institution with assets worth over Rs. 27.26 lac cr. Today LIC is servicing about 29 crore policies. LIC stands out as the most trusted brand in the industry due to its phenomenal performance and ability to deliver as per policyholder’s expectations. It has stood the test of time for 61 years and today is an ‘icon’ of trust, confidence and reliability. LIC not only touches millions of lives with the gospel of insurance but also plays greater role by going much further through the numerous nation building projects with investments in Infrastructure and Social Sector which includes Projects/schemes for generation and transmission of Power, Housing Sector, Water Supply and Sewerage Projects, Developments of Roads, Bridges & Road Transport.